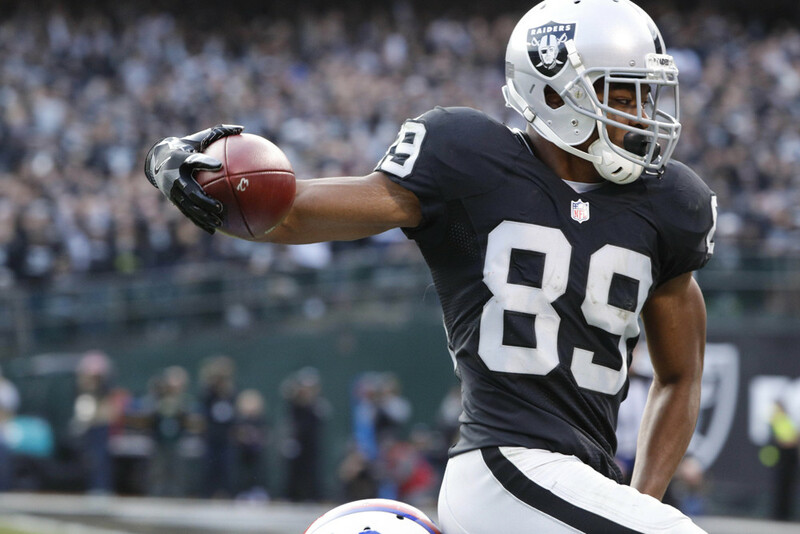 How much upside is already baked into Amari Cooper's fantasy value? Oakland Raiders’ stud wide receiver Amari Cooper finished last season with a very productive second year in the league, hauling in 83 receptions for 1,153 yards, and 5 touchdowns. This translated into Cooper finishing as the 12th and 14th wide receiver in Standard and PPR leagues, respectfully. He found himself finishing behind teammate Michael Crabtree who finished 11th in both scoring formats. Cooper is currently being drafted as the 10th wide receiver and 2.10 overall in fantasy football ADP. Data is from 12-team standard mock drafts. 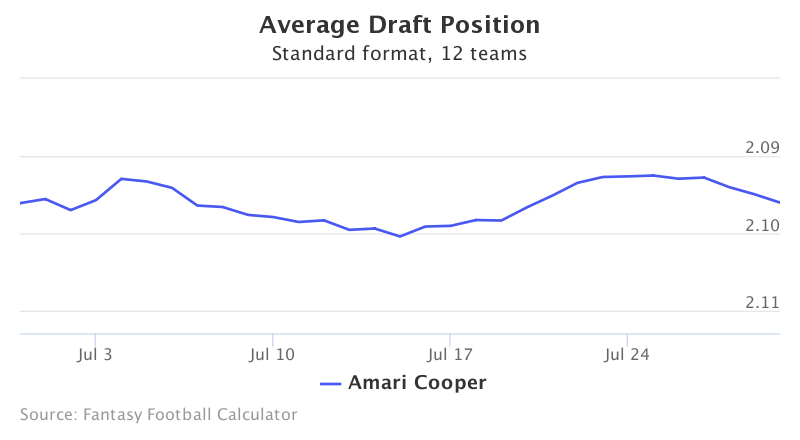 Cooper’s ADP has floated between 2.09 and 2.11 over the past month and will continue to remain in this range as we approach draft season. Cooper has not proved to be a top 10 wide receiver yet in his early career, but will look to continue his rapport with quarterback Derek Carr. In two years in the offense, it is clear Carr likes going Crabtree’s way, rather than Cooper. Last year, Cooper had a low red zone target share (14.4%) and this was much lower than Crabtree’s (23.3%). When Cooper did see targets within the red zone, he wasn’t capitalizing on his chances -- Cooper caught just five of his 13 red zone targets with none going for touchdowns. To add insult to injury, Cooper didn’t catch a single target inside the 10-yard line. Crabtree has outscored Cooper over the past two years in receptions and touchdowns, and the highest touchdown total in Cooper’s career thus far is 6 from his rookie season. Cooper’s current ADP and fantasy production, when compared with Crabtree, cannot be justified with the latter being drafted, on average, 30 picks later. This has been consistent for two years now, and an ADP of 2.10 at this point is for the optimistic; even if he is the more talented receiver, name value cannot exceed results. Cooper will have to reach double-digit touchdowns and at least match his yardage from last year to return decent value this year.